Paulina Rubio is popularly known as the “Queen of Latin Pop”. She is one of the most influential Mexican celebrities and is also called the Golden Girl of Latino Music. Paulina Susana Rubio Rue was born to Susana Dosamantes, a popular Mexican actress and Enrique Rubio, a lawyer by profession. At the early age of 5, Paulina began taking lessons in singing, acting, dancing, jazz and painting at the Centro de Educación Artística (CEA), in her hometown Mexico City. Two years later, she was a part of the children’s band at the center. Paulina began her career as a singer with a children’s band called Timbiriche, at the age of 10, in 1982. She recorded 11 albums with the band as a child artist. She then decided to pursue her solo career in 1991 and moved to Spain to work on her debut album “La ChicaDorada”. Her single “Mio”, was a huge success at No.3 on Billboard’s Hot Latin tracks , No 2. In Mexico and No.1 in Spain. In 1993, she released 24 Kilates which got her two nominations at the 1993 Premio Lo Neustro Awards for New Pop Artist and Female Pop Artist of the year. 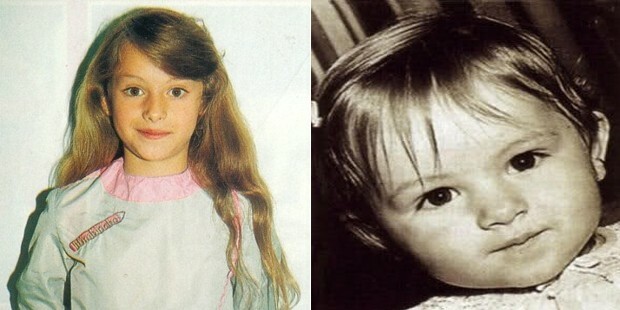 Subsequently, two more albums - El Tiempoes Oro and Planeta Paulina, were released in 1995 and 1996 respectively. She released a number of English versions of the songs from her album, which were declined by EMI; post which, Rubio took a four year long break in her career and decided to move to Spain. Rubio made a strong come back in 2000 with a new album titled Paulina, for which she won the coveted Latin Grammy. Owing to the success of Paulina, Universal Music signed a deal for her first ever English- Language album – Border Girl, which sold over 500,000 copies. Apart from this, she released a number of other albums: Pau-Latina (2004), Ananda (2006),Gran City Pop (2009),Brava (2011),Bravísima(2012) and Pau Factor (2014). Paulina has modeled for famous designers such as Alvin Valley, Gaudi, Roberto Cavalli, and is also signed up with the Elite Model Management. She has been involved with the Latino Commission on AIDS and has also performed in concerts supporting causes such as “Early Childhood Development” and the “American Heart Foundation”. In 2007, Rubio married Spanish Public Relations Executive, Nicolás Vallejo Nájera. The marriage resulted in a divorce. They have a son named Andrea Nicolás. Currently, Paulina owns a restaurant, L'Entrecôte de Paris, in Miami. Rubio has been a judge on talent shows such as La Voz Mexico and La Voz Kids. She has also been a judge alongside Simon Cowell, Demi Lovato and Kelly Rowland on the X Factor 2013 season. Apart from these, she has also acted in a few television shows like Pasión Y Poder, Baila Conmigo, Pobre Niña Rica and more; and appeared in films like El Día Del Compadre and Bésame En La Boca.